This ultra-fine eyebrow pencil draws incredibly natural-looking, hair-like strokes that last for up to 12 budge-proof hours. The rich, yet blendable, colour transforms brows from shapeless to defined in mere moments, while the twist-up, non-sharpen tip and built-in spoolie brush make application utterly effortless. We love the minimum fuss, maximum gain of this brow tool (and so will you) so clear a space in your make up bag and pencil two brows into your morning routine. Designed to shape, fill and plump out sparse or unshapely brows, Benefit’s Precisely, My Brow Pencil avoids the ‘coloured in’ look thanks to its ultra-fine tip. Armed with rich yet blendable colour and a twist-up, non-sharpen tip, you’ll be able to mimic even the finest hairs and, thanks to the waterproof formula, your handiwork will last for up to 12 budge-proof hours. You can fake natural-looking brows in an instant with the spectrum of six believable shades – there are two light, two medium and two dark hues, so you’ll be sure to find a colour that matches and flatters your natural assets. Your face-framing arches will look flawless – even if they were scribbled on during your morning commute. Start at the base of the brow and use tiny hair-like flicks…light, short, upward strokes…to draw in the direction of your natural hair growth. I ordered hue 2. Works well for fair, cool (blonde) complexion. Stays on all day, looks more natural than any other brow product I've tried. No smudges or "clumps". I usually use urban decay eyebrow pencil but this was just as good and lasted longer. Colour was good for me and very handy having the spoolie on other end. I feel my brows are looking perfect and a lot more finished now. Will always invest in this pencil from now on! It was my first try with benefit products and I simply loved it. It comes with a very handy spoolie, and it lasts a while even with no primer. If you want a great brow, get this product. I've used nearly every product under the sun, by far this is the best. I love all benefit brow products so when I tried this I wasn’t surprised at how amazing it is. 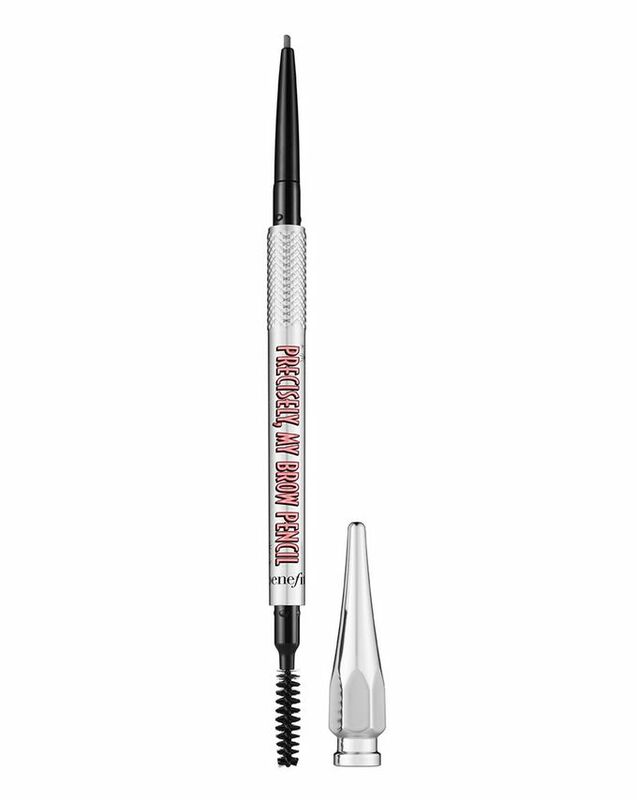 This pencil is great if you want defined brows because the pencil is very small whereas goof proof brow pencil also from benefit is perfect if you want fuller brows but as the pencil is bigger it doesn’t really define the brows. I use precisely my brow to outline my brows and to fill in the tail. Love this product. The tip is really small and pointy, no shape at all, you can literally be doing your eyebrows for a good 10 minutes. A lot of work. I usually use the Anastasia Beverly Hills which is not cheap but the quality is sick! Anyways, for everyday its cute. Use this everyday, pigment is really good, but not overly pigmented which is good as you can get a natural effect or build it up. Takes me about 5 minuets to do my brows, and lasts all day. Works amazing with Gimme Brow. This is the best brow product ever. Easy to use and you can achieve different finishes. The only negative is the size. I wish it contained more. This is my go-to brow pencil. It’s affordable and creates a really natural look when I’m filling in my patchy brows! Would recommend time and time again! Best brow pencil I have ever used. Really natural look and easy to use. Explains why it's sold out everywhere!! Even though the last one I bought arrived slightly too dry and is not as "willing" as the first one. but all in all, a great product.